This combo package includes one each of our RDS (Rail mounted Data System) and E-dope electronic display by Down Range Systems. E-Dope is an electronic display used to clearly display target data. Utilizing E-Paper technology the display is sunlight readable at extreme angles. The display is battery-less, utilizing NFC technology from your Android device to update the display. The E-Dope display is intended for fast-paced competition target shooting where multiple targets are to be engaged under time constraints. The display uses the E-Dope and Kestrel Ballistic Link Android applications that are free to download from the Google Play Store. 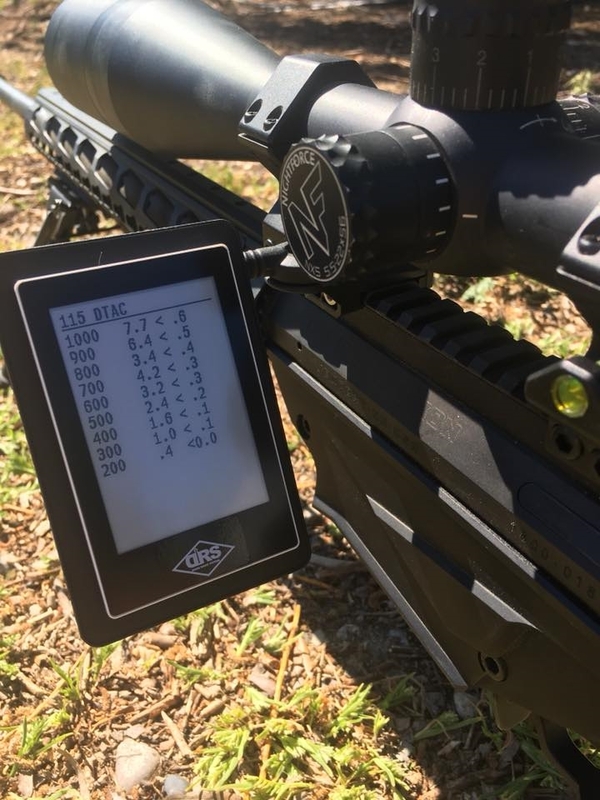 Using the E-Dope card is easy, simply input all your required data into either the E-Dope application or the Kestrel Ballistics Link application. Hold the back of your Android device to the front of the E-Dope card. You will get a status bar showing the transfer progress and a messages stating "Transfer Complete". .